I currently reside in Jongli, Taiwan. Jongli is a smaller Taipei suburb that is roughly 40 minutes south of the capital city. I ABSOLUTELY adore both Taiwanese people, and Filipino people. I am only 6 months into experiencing both cultures. Both cultures seem to have many different morals and ideas. I respect the hell out of both of them. But, I think the main thing is that hey always treat you with the HIGHEST respect you could possibly even imagine. 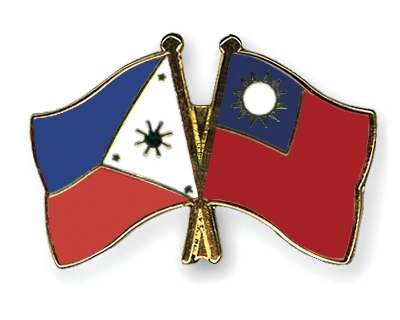 I will also mention that I am 100% in the middle on the recent Taiwan Philipinnes tragedy. I am not in any way trying to prove who is right and wrong. I am actually trying to prove what would happen if we for once in our LIFETIMES forgot about who is right and wrong. Can we put our valued egos down as world citizens and governments alike to bring peace? Let this message serve as a general suggestion around the world. ****Disclaimer- *****- I am deliberately leaving a lot of the “media-reported” facts out. I simply don’t believe them. What is the first thing you do when crisis hits? You probably turn the TV, Internet, or your favorite media source on. Let’s just face the fact that these reporters and writers alike are waiting for moments like this and how they can make a name for themselves. It is no secret that they will deceitfully hype up an OUNCE of drama they can get their hands on to twist and turn things into a magical story. It personally makes me want to vomit. I suppose not all reporters are like this. These reporters that commit these “false stories” could make a true name for themselves by bringing the 100% truth and adding their own unique perspective. I am not condoning anyone for watching the news reports as they continue to unfold. I do however BEG and PLEAD with you to always keep in mind the purpose of the reports are to get your own blood boiling. My goal is to even get just ONE person to stop and think that maybe we don’t know the facts before wishing harsh deeds on anyone from either side in this standoff. Let me start out by saying that I am deeply sorry for the loss of the innocent Taiwanese civilian. I am also just as sorry for the 3 allegedly-related beatings that have happened in Taiwan since then. I am 100% certain that nobody has raised their hand yet. I have learned that forgiveness is actually the most powerful tool we can adapt as human beings. It also happens to be one of the most difficult skills we could learn. My hope is that one day irrelevant education like Algebra can possibly be replaced with more suitable life skills like learning to forgive. It takes way more courage to forgive and forget than beat the crap out of somebody. I can only speak for American citizens since that is my background. But, I know that we only learn things like forgiveness from our parents. If you were fortunate enough to learn these skills from your parents, give them a hug next time you see them. You are in an elite percentile. Most of us think how can we get back at somebody after we have been wronged. The only reason we think this way is because our parents told us to. And guess what? Why did your parents teach you that way? I could confidently bet all $4,326 of my life savings that it was because your grandparents told them to. Can you see the never-ending circle of insanity? That is why I would still urge all sides involved that forgiveness is our only viable option. I am not certain it will happen in any of our lifetimes. But, I really think that is the only way to end the insanity of a world that is striving to always protect its ego no matter what the continent, race, ethnicity, country, skin color, religion, etc. Lack of forgiveness essentially causes so many unnecessary problems. I am certainly not claiming to be a newsreporter in this article. I am simply trying to offer a completely alternative view of how I feel we could solve this issue and prevent further deaths, and beatings. Taiwan and Philipinnes have been going back and force since this incident first happened. Taiwan started out by demanding an apology from the Philipinnes’ government. As recently as a few days ago, an apology was sent to the government. But, what happened? The Taiwan government gets apology and disbelieves the lack of sincerity. Now,if the people in power were living by the motto of always being thankful. I strongly feel that if both sides lived by this motto further injury, and the potential for even more loss of life could be avoided. What happens then? They meet the demands, and crisis is done and shut at that point. I am certainly know things are much more complicated than this especially with “Big Brother China” looming largely in the background. But, what if leaders took this giant step forward for humanity? Would we have the next Martin Luther King on our hands fighting to teach others forgiveness, and thankfulness? Again, we live in a world where we are taught to never show weakness. These virtues continue to be passed down from generation to generation. What are the side effects of these demanded virtues? They are horrendous to say the least. I am only 35 years old. And, I would venture to say millions have died in my lifetime alone in this never-ending attempt to protect our ego’s. We always want to show we are strong, we want more, etc. The list is endless. It has gone for centuries now and it NEVER, EVER works. What do we really have to lose by trying a different approach? This is a very interesting topic. I have Filipino friends, and Taiwanese friends alike. I sincerely hope anyone with relevant interest in the topic can see this as a peaceful commentary or discussion. Now is your chance to tell me what you think. Please comment below if you would like to talk further about any of these radical ideas.